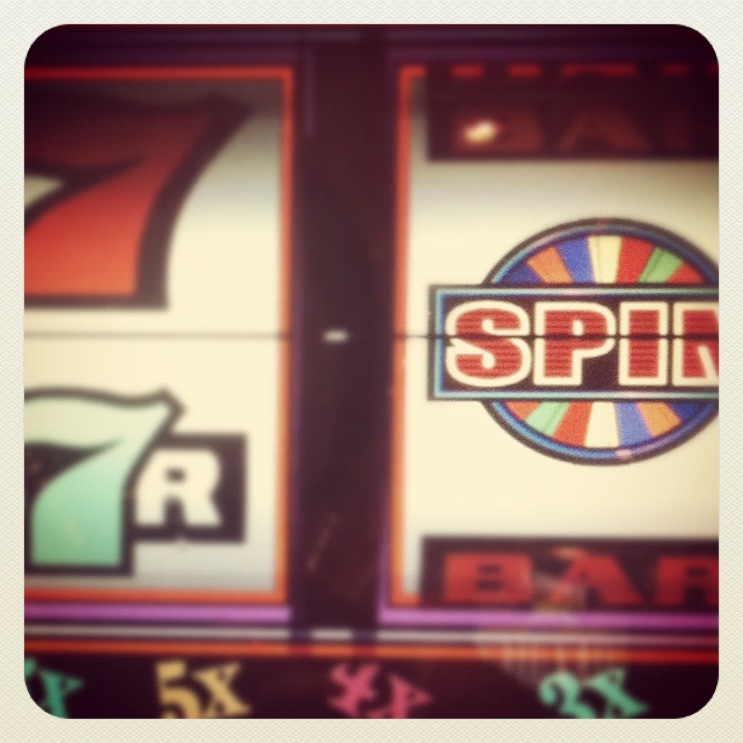 This week, I went back to my roots in Las Vegas! Friand and I had some free time to ourselves to eat, drink and gamble our way through THEhotel and Mandalay Bay. Our vacation didn’t involve any new restaurants for us; we went back to 3 places we have enjoyed in the past. But, this time, the reviews were mixed… I have to remind myself that the reviews I write here for this blog are primareily based on the availability of vegan food a “regular” restaurants and the technical execution of those dishes. I give sprout reviews on a scale of ease of finding vegan food, the cooperation of the wait staff, the creativity of the chef and of course consideration is given to the quality & taste of the vegan food I’m presented. This trip put me to the test, as Friand was completely unsatisfied with his meal at Border Grill and as so often happens: the vegan received the better meal. My theory is that most chefs enjoy the challenge of making something out of the ordinary whether it be off menu or a modified version of something on the menu, and that when given the opportunity, they will present you with something really interesting and exciting. Border Grill proved this point as my meal was leaps and bounds over Friand’s. In fact, he even told our server of his dissatisfaction with his meal. Our first visit to Mary Sue Milliken and Susan Feniger’s Border Grill in January 2010 earned it 5 sprouts. I was exceptionally pleased with my meal, and so this time around I actually told the server to “let the chef surprise me.” She said she liked my style and served us our complimentary chips & salsa. Happily sipping our black cherry mojitos, she casually asked if we liked “spicy” because she could bring a taste of the Diablo salsa. Bring it on! 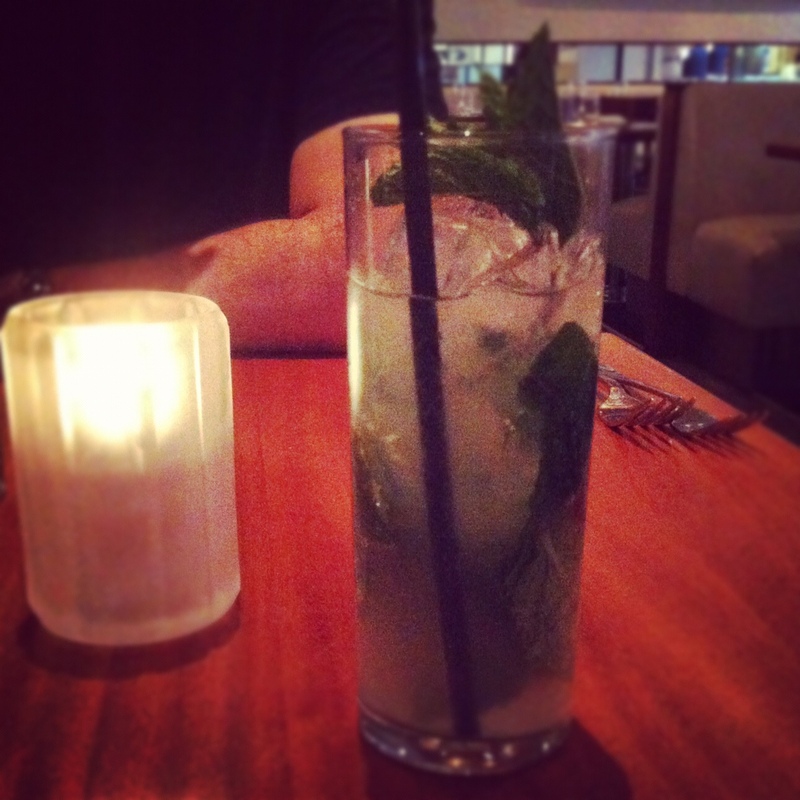 If all else fails, we have some of Vegas’ best mojitos in hand to wash down the fire. The Diablo salsa (not pictured) was actually the tomatillo salsa with habanero pepper added, so it was sweet with a little kick. 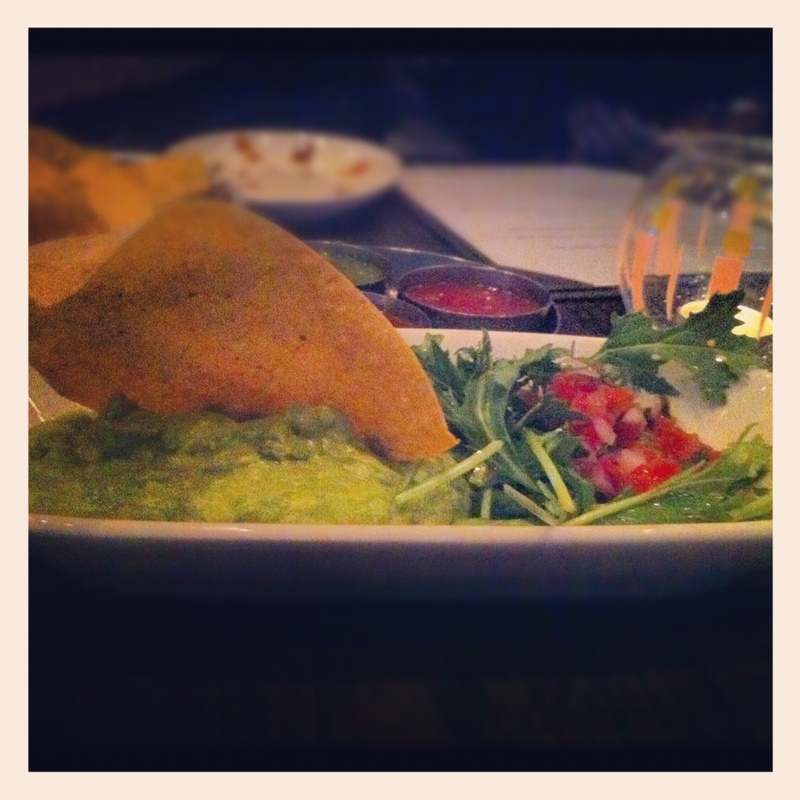 We branched out a bit and ordered some guacamole. Ok ok, when’s the last time we went out for Mexican and didn’t order guacamole! 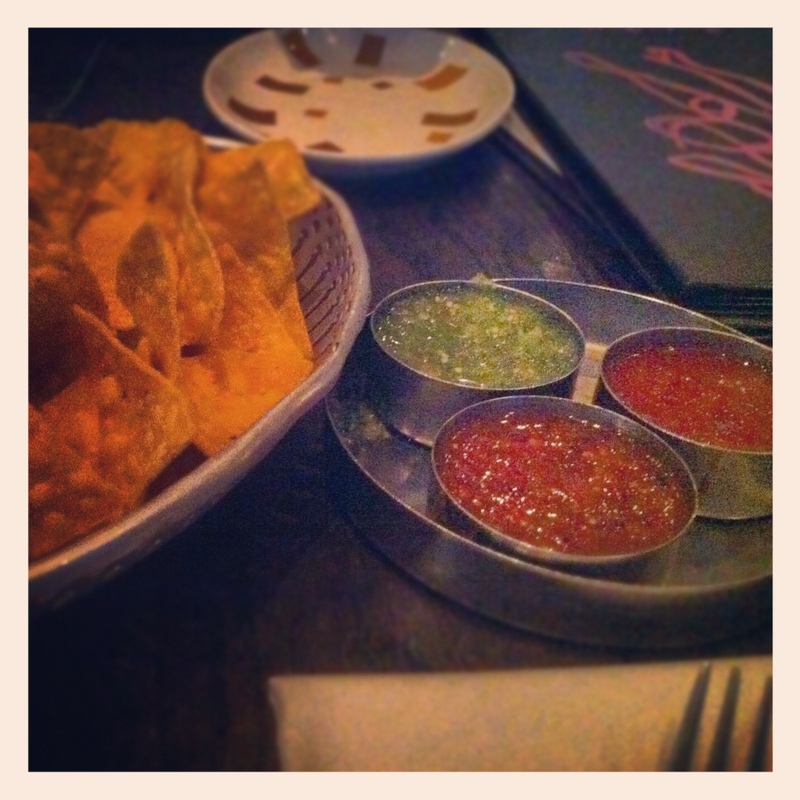 I actually really enjoyed the side of arugala with the pico de gallo on the side. It was an original idea that was very successful. I ended up wiping up the last of the guacamole with the arugala! Unfortunately, I cannot link you directly to the menu, so you’ll have to scroll along the right menu to the bottom where it says “view menus”. Or you can try this link to an external site that seems to be listing the most recent menu. Finally, our entrees arrived. 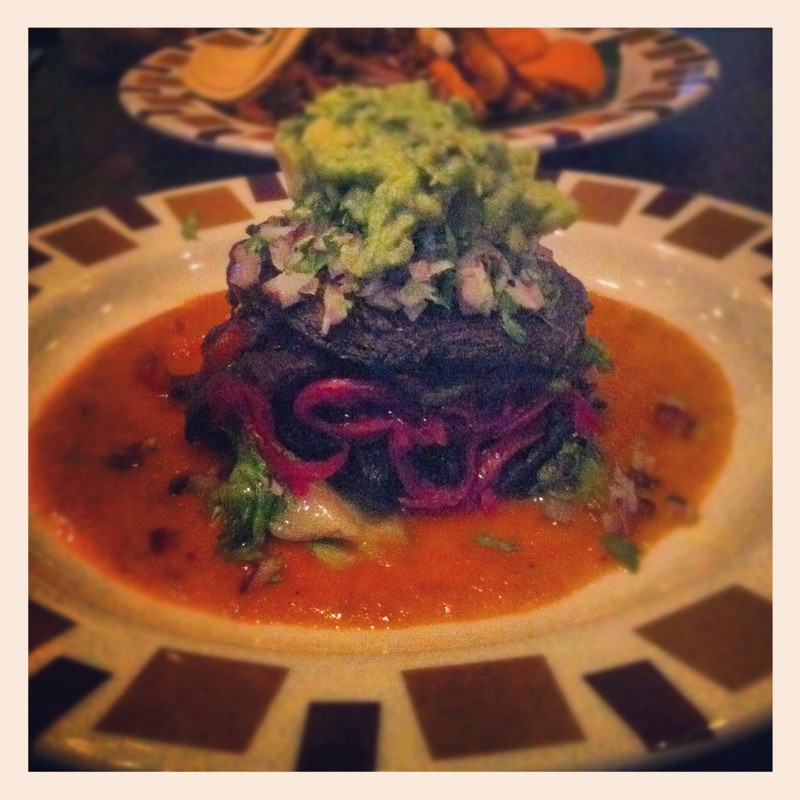 Friand ordered the Yucatan Pork, while I was given a chef’s off-menu creation. Apparently, this mushroom tower had been on the menu in the past, so to say this was something invented on the spot just for me would be inaccurate, but that doesn’t take away from the fact that this dish was well worth it. Two portabello mushroom caps sliced into thin rounds, sandwiching grilled vegetables (peppers & onions mostly), topped with guacamole, all on a bed of grilled escarole, mustard greens and Swiss chard with a light red sauce. It’s rare that I don’t finish an entree at a restaurant, sometimes I think I’m a bottomless pit!, but this was so rich I really couldn’t finish. Regardless of Friand’s disappointment with his Yucatan pork, the vegan meal was fantastic. So, I do give Border Grill another 5 sprout rating for vegans. Your omnivorous friends & family are going to need to be a bit more judicious & suspicious in their experience. And check out Border Grill’s Meatless_Mondays A three-course sampling of vegetarian fare – not necessarily vegan, but it’s a good start! Our next stop was RM Seafood, by Rick Moonen. Funnily enough, our first visit here was in January 2010: the night before our aforementioned first visit to Border Grill! And again, RM received 5 sprouts for the vegan aspect, not necessarily any other reason. It’s not even that the vegetable rolls at RM are all that exciting. 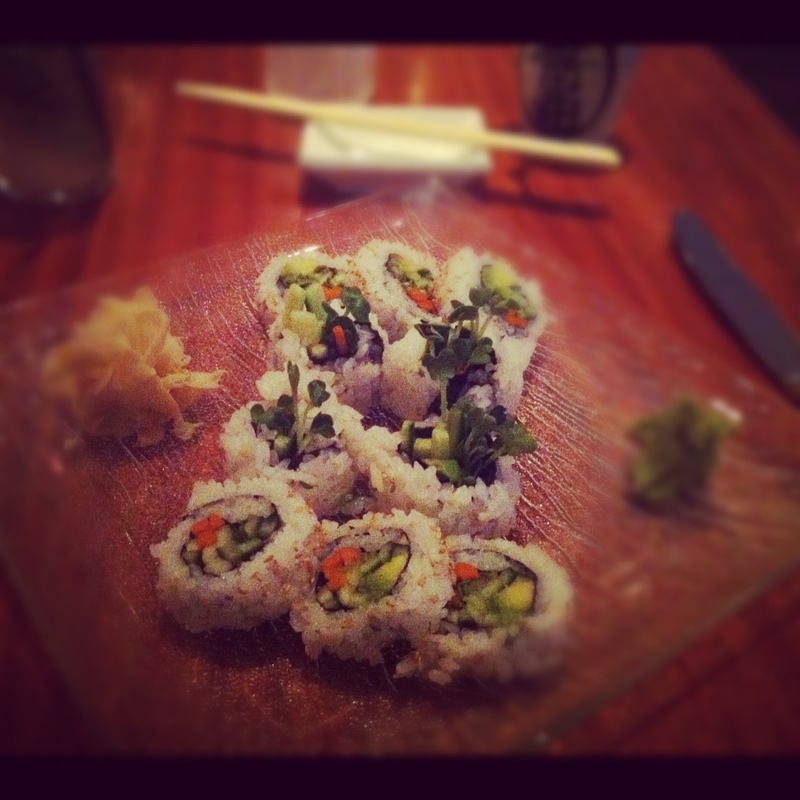 I mean, really, when are vegetable rolls so different at one place over another that you can write an original review? Carrots, avocado, daikon, cucumber and sprouts. But, it is super easy to ask for vegetable rolls and not look totally out of place while everyone else around you is eating sushi and you’re getting some “special diet” meal. For me, one of the most important aspects of dining is not feeling like an outsider or being singled out in any way. I don’t care that Friand is my husband, I still do not want to look like an inconvenience in front of my party. And of course, there were mojitos flowing freely at our table. Is there really a better cocktail for summer? We had a sampling of mojitos at every restaurant we visited, though I wasn’t smart enough to take photos of them all… The one at RM was tangy and sweet, though not very strong. For once, I could order two mojitos and not stumble like a fool past all the other tables. Finally, dessert decisions needed to be made… The decision, on vacation, is never “whether or not” to have dessert, rather “which dessert will I have?” Not many choices for a vegan (are there ever?) 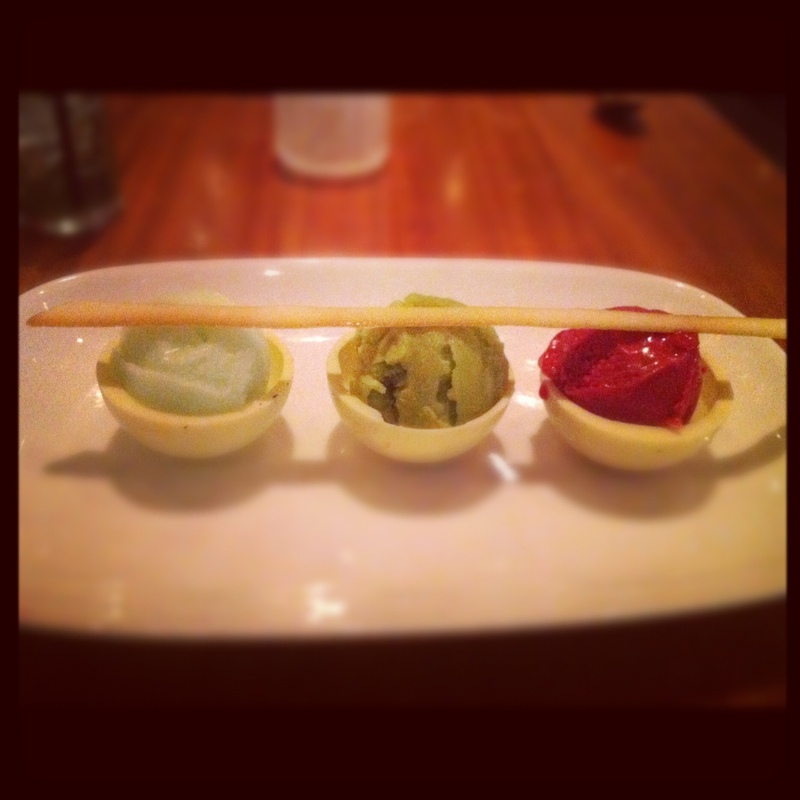 but I was happy to see a sorbet trio listed. I did not request anything off menu, nor did I ask for the chef to make any substitutions or alterations, so who knows what I would have had to eat. I admit, I wasn’t even in the mood for experimentation. So, RM Seafood still holds onto its 5 sprout rating because there are vegan options on the menu and the veggie roll was what I would definitely call sushi comfort food. And of course, your seafood and sushi eating friends & family will not be at a shortage of choices. 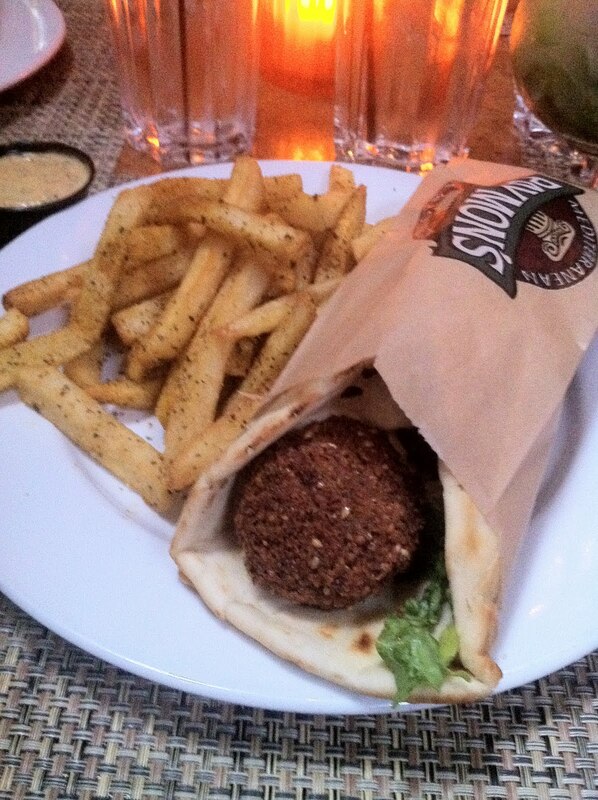 No visit to Las Vegas is complete without a trip off-Strip to visit my favorite Paymon’s Mediterranean Cafeon Sahara for the “falamus pita wrap and spicy fries”. Our last night in Vegas, we decided that low-key was the way to go. Not wanting to be sucked into feeding the slot machines any more of our money, we decided that room service was the way to go. 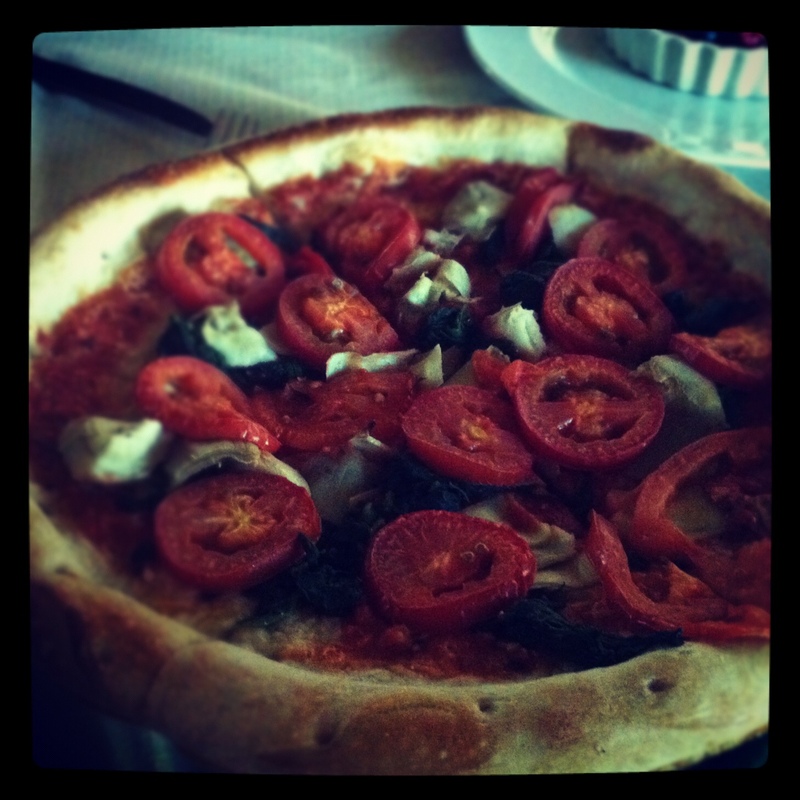 Shocking: I was able to order a pizza, no cheese, with tomatoes, artichokes and spinach that was actually satisfactory. Clearly not a gourmet offering, this was a fitting finish to our trip. The dough was surprisingly sweet, and though I probably could have finished the entire thing, I still want to give my husband the impression that I’m not a pig who can eat 8 slices of pizza without batting an eyelash. And believe me, when he’s not looking, I can. Back to real life in Los Angeles, I’m reflecting on how fun it was to visit The Vegas Vegan’s old stomping grounds and remember why I began the blog in the first place. Vegans aren’t always interested in answering questions about being vegan, sometimes we want eat a meal in peace. Vegas never ceases to amaze me with its vegan options, even in tried an true places like Border Grill, RM Seafood and Paymon’s Mediterranean Cafe. Who knows, maybe next time we’re back, we’ll try some where new for a change!! 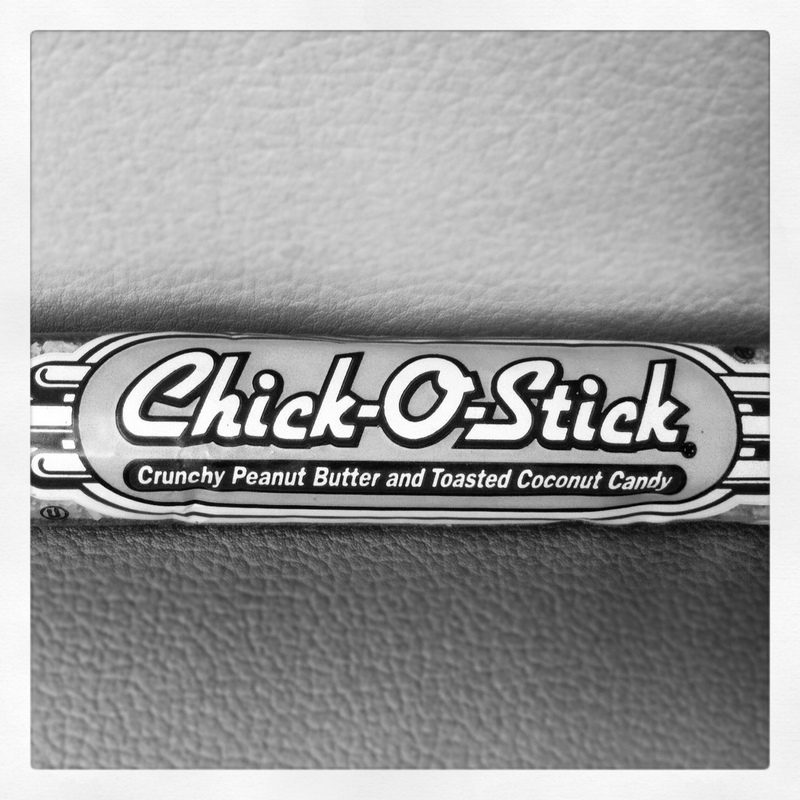 THE BEST Vegan Candy EVER! !